Districts that anticipate testing more than 1 percent of their students using the Alternate Assessment for Students with Significant Cognitive Disabilities must submit this justification form no later than Dec. 10, 2018. Department review of the justification involves consideration of the district’s response to the items listed. The Department will notify districts of successful submission. 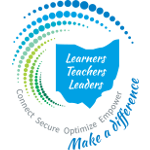 Please direct any questions on completing the justification to AAparticipation@education.ohio.gov. Any district submitting a justification may be subject to further review by the Department to obtain additional clarification on the submitted information. Online submission for AASCD justification was available Nov. 5, 2018 through Jan. 16, 2019. This list only shows the districts and schools that submitted. It does not provide access to the reports.